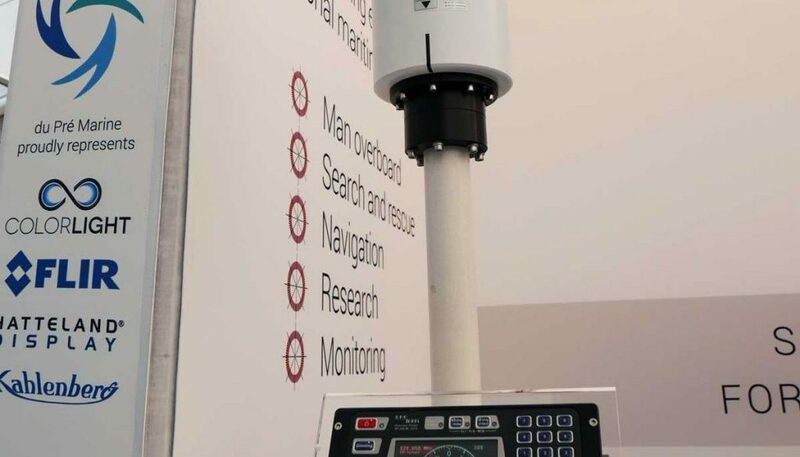 We finalised details of du Pré Marine’s appointment as a specialist distributor of Rhotheta marine radio direction finders just prior to Seawork 2017, which enabled us to the highly capable Rhotheta RT-500-M on our stand. This model is geared for search and rescue (SAR) services and automatically monitors the emergency frequencies 121.500 MHz, 243.000 MHz and 406.028 MHz (Cospas-Sarsat) as well as channel 16 of the marine band. It has a patented antenna system and LAN, NMEA, RS-422 and RS-232 interfaces for excellent system integration and remote control options. Although it was the first time we had handled this unit, we found it really easy to set up out of the box and really look forward to working very closely with Rhotheta in the future. The company is based south of Munich and we’ll no doubt be paying a visit there before long, to ensure we can offer our usual top service and advice for customers. We’ll also be adding the full range to our website shortly.